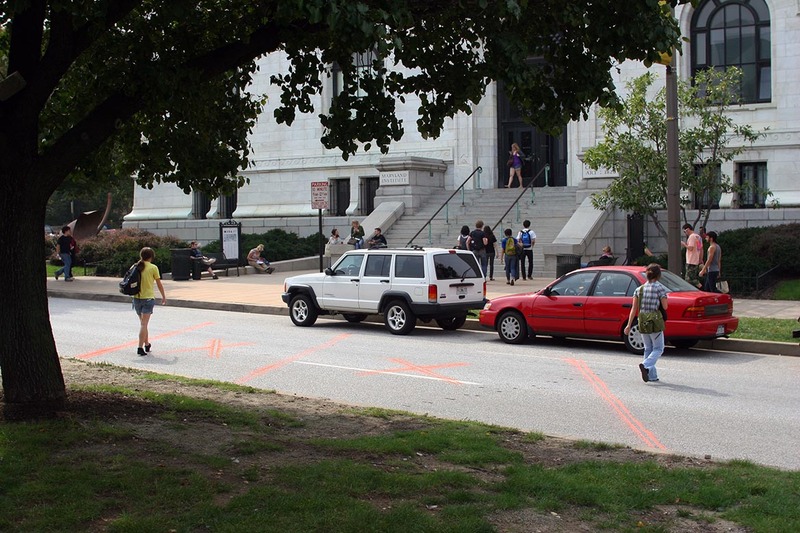 Last week I set up my first public art intervention in Baltimore. “VXW-MTR”is a continuation of the Visionary Crosswalks project I started in Bushwick, Brooklyn last spring. I set up the installation along Mount Royal Ave, between Lafayette and Lanvale, next to the MICA green. After jaywalking across this block on a weekly basis – and seeing many others doing the same -, this became the first public space in Baltimore I felt comfortable working within. 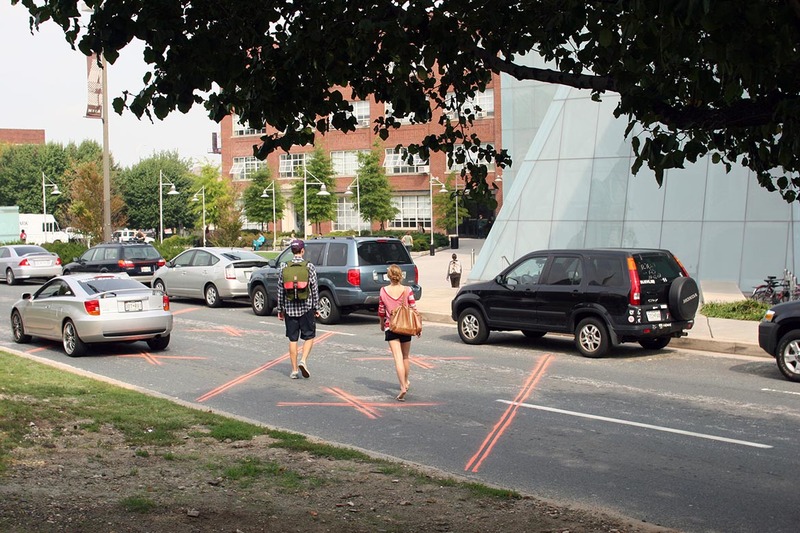 For this crosswalk I enhanced my original singular, neon-orange, over-spray design by drawing three parallel lines connected by corresponding “X” markings. 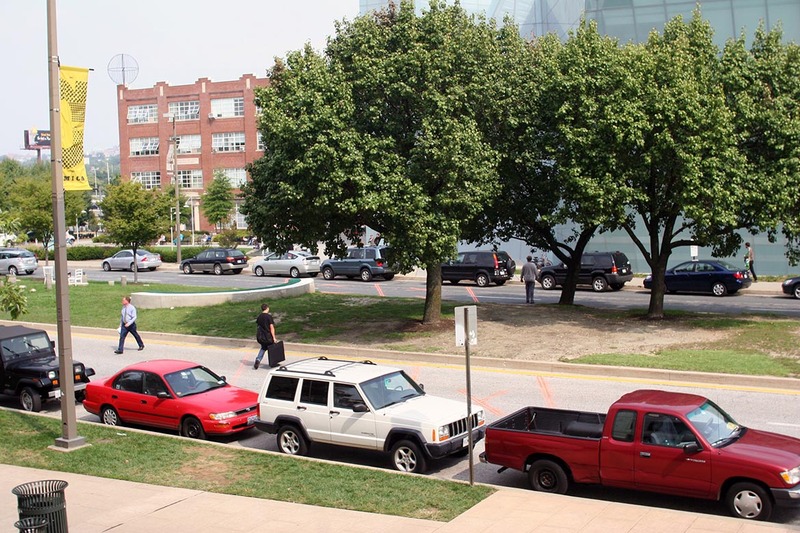 The overall layout is derived from the surrounding architecture of the plazas in front of the MICA Brown and Main buildings. The Brown building’s diagonal layout opens up to Mount Royal Avenue, clearly suggesting a visual and pedestrian connection to the historical Main building. It no surprise then that students, professors, and workers are constantly cutting across Mount Royal Avenue mid-block. VXW-MTR is my attempt to both highlight this casual path to motorists, and “legitimize” the experience as a pedestrian. In addition to the street markings, I am also bringing an element of performance to my Visionary Crosswalks project through my inclusion of “G-Mack the Construction Guy”. 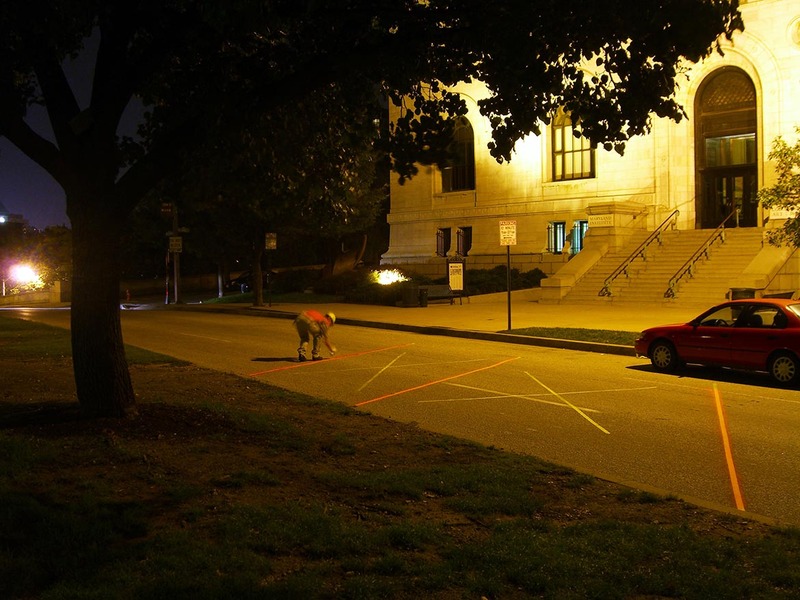 G-Mack is the character which I embodied during the nighttime installation of the crosswalk. As a character he serves three purposes: 1) to convince possible authorities that whatever I am doing in the middle of the night is legitimate, 2) as a personal/social entry point to the project for other pedestrians, and 3) as humorous acknowledgment of my role as the artist in creating this piece of slightly absurd direct-actionist, intervention art. 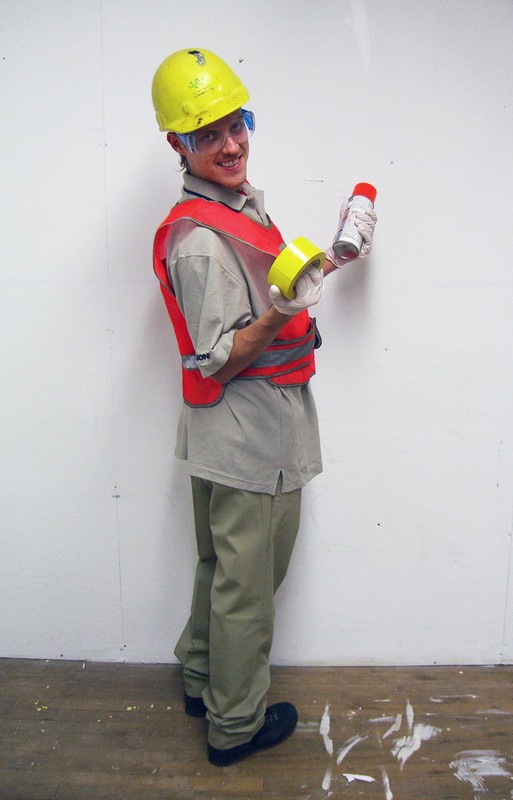 Look out for future appearances from G-Mack, both as a construction worker and soon-to-be crossing guard!